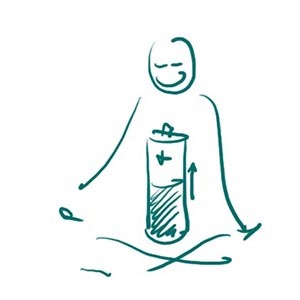 Simple stress-relieving, energising exercises for lasting transformation. In our quest for a sustainable ways of living and economic activities, we often forget how important it is to be sustainable with ourselves, to take care of and nurture our personal resources to make sure we have the strength to keep going in the long term. This workshop introduces you to some simple stress-relieving techniques, centering and perception exercises, which you can apply quickly and easily in everyday life, increasing your alertness, insight and ability to act with calm and confidence in difficult situations. Imke Wangerin is a certified coach who has spent the past eight years working with managers and artists to find creative solutions for challenging situations and fulfil their personal ambitions. She organises seminars on stress management and intercultural trainings in companies. 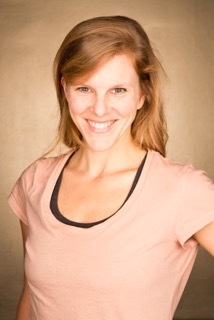 Imke Wangerin also trained as a yoga teacher with Patricia Thielemann and Max Strom and has been teaching at Spirit Yoga in Berlin-Mitte since 2007. Her preferred coaching location is on her houseboat, a dream of her own that she made come true.